Pest Control Insulation (PCI) announces a new distribution channel for purchasing U.S. Environmental Protection Agency (EPA)-registered TAP Pest Control Insulation: HomeDepot.com. Multiple delivery options, equipment rental opportunities, and nationwide service are just three of the reasons for the new partnership. The addition of HomeDepot.com expands the opportunity for new pest control and wildlife companies, regardless of size, to experience the revenue-building potential of this add-on service, as well as Home Depot’s equipment rental menu. Pest management professionals (PMPs) can still order TAP Pest Control Insulation, as well as equipment, supplies, and marketing materials, through PCI. 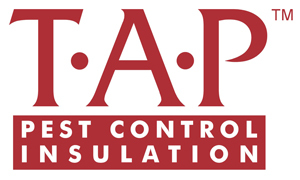 Regardless of where TAP Pest Control Insulation is ordered, customers can still take advantage of TAP’s world-class training and support program. The main benefit to PMPs that offer TAP Pest Control Insulation is a greater overall awareness of the product and its performance for their customers, the company says.